Mikme: Capture, produce and distribute high-quality audio and video content on the go with Mikme. 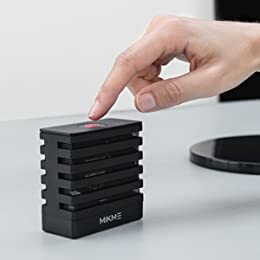 The Mikme Microphone is a wireless microphone and audio recorder, captures studio-grade audio at the touch of a button. Designed for video creators of all kind. It can be used with the free Mikme iOS companion App or standalone. Mikme gives musicians, journalists, filmmakers, podcasters and more new and transformative ways to express themselves. 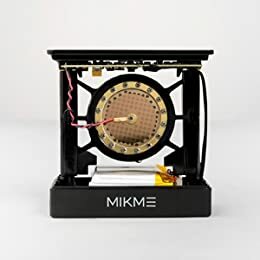 With this mission, the idea for Mikme was born: The Mikme Microphone, a portable high-performance microphone and audio recorder rolled into one. It captures studio-grade audio and streams it wirelessly to the Mikme Recording App in close to real-time. Within the App the professional audio gets synced even with the video from the smartphone. On top, it has a in-built mixer, allows effect adding and track edits to share creations within minutes. No matter, if it’s music, vocals or just, sounds Mikme captures it all in every detail – for stunning stories easily created and quickly published. With the Mikme Microphone recordings begin with just a single tap. Use the top button to rule it all: control your recordings, playback the last track or set the gain. Different color modes lead you the way. Up to 360 hours of studio-grade audio can be recorded and safely stored on the internal 16 GB memory. You can access the raw .WAV or a .M4A file, just plug it into your computer via the USB slot. Weighing less than half a pound it is the perfect companion for your next mobile story. The battery-driven microphone lasts for up to 3.5 hours of continuous recording. The 1" phantom powered gold-plated true condenser capsule delivers nothing short of professional sound. In fact you get 24 bit and up to 96 kHz. Also, you can mount it on a microphone stand or a DSLR tripod using the 3/8" or 1/4" thread on the bottom. Mikme delivers high-quality sound and video. Use the phone’s camera for filming while recording with the microphone at the same time. 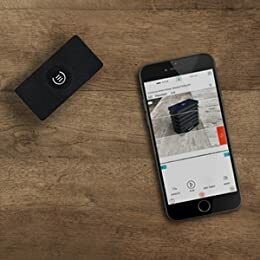 All tracks sync wirelessly with the Mikme App using an own patented Lost&Found Quality of Service Bluetooth protocol. It is as easy as: Tap. Capture. Share. On top, you get features like 4-track recording, mixing, editing, volume control, gain setting, online sharing and more. Professional mobile content production of the next level. With Mikme you can finally separate audio and video recording without compromising on quality or ease. Place the portable studio microphone next to your recording objective while you can be at distance to shoot the whole scene of your story. And no cables will obstruct your way. 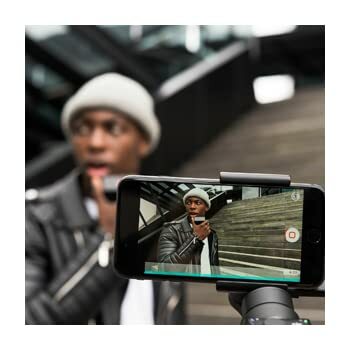 With the Mikme Microphone and App working seamlessly together, you can produce and publish high-quality content in a trice. Stores your idea anywhere, anytime. No matter when inspiration strikes, Mikme saves your ideas simply everywhere. It stores both the raw .WAV files and the compressed .M4A files immediately on the built-in 16GB/8GB or 4GB audio recorder to fit all your recording demands. As Mikme is a versatile tool, it can be used standalone and the recordings exported to a DAW, or together with your phone for mobile creations.